Discussion in 'Kits' started by Mr. Penguin, 21 Jul 2012. Simply turn PirateBox on to transform any space into a temporary communication and wireless file sharing network. 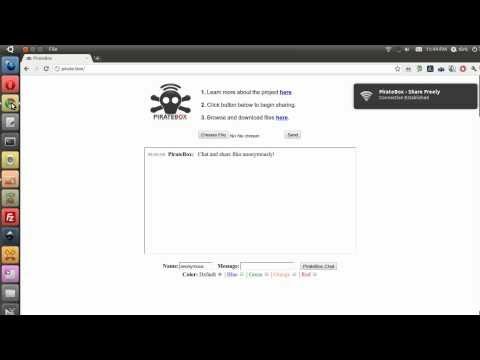 When users join the PirateBox wireless network and open a web browser, they are automatically redirected to the PirateBox welcome page. Users can then immediately begin chatting and/or uploading or downloading files. PirateBox now runs on multiple devices, including wireless routers, laptops, mobile phones, and plug computers. The open source software is free and you can build your own PirateBox for around $30. Reminds me of the Shakespeer days where I used to live where we had our own filesharing and chat network. We used ethernet though. Rly. this is very nice.